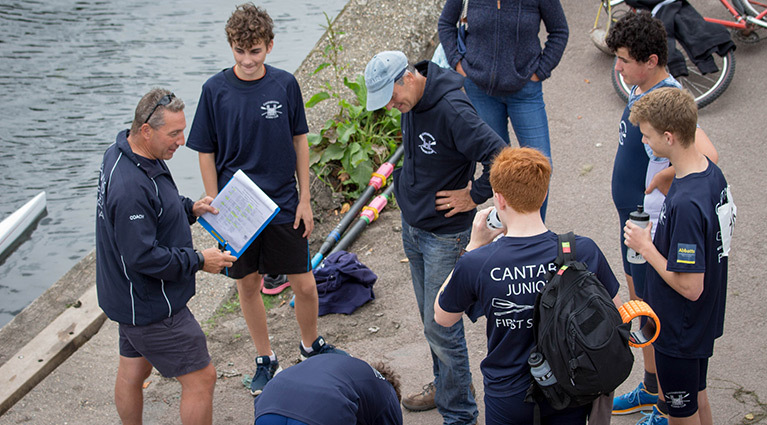 This resource provides guidance from British Rowing of good practice about what is appropriate training at different stages in a rower’s development so they gain the best experience and enjoyment of the sport and to progress over time at the appropriate rate of development. It includes the need to offer variety in the training and to develop the all-round athlete to prepare them well for life, not just the sport of rowing. It is designed to provide insight for rowers, coaches and other supporters as to how rowing works at the initial entry points, as well as the processes and training aims for new rowers to develop appropriately in the sport and maximise their time, enjoyment and performance. To look at the issues for the long-term development of all rowers and advise on the appropriate training stages and programming for those who wish to head towards being a high-performance rower. It also approaches the issues, factors and management around transitioning between the levels of development. Our aim is to develop physically limitless and safe rowers who have good movement patterns and sufficient conditioning (tissue and cardiovascular) levels that ensure they have an ability to tolerate repeated load. ‘Good foundations first!’ It is important to remember that there are no “natural rowers” and the movement of rowing under load is very unique. All rowers will need the correct coaching in order to prevent any potential injury. It is important to understand that rowing is different from other sports and the development levels start at a later age. We are a late maturing sport. Ensuring that appropriate athletic skills and physical literacy for rowing and life are developed early in a rower’s career and continuously thereafter. Encouraging the long term process of development rather than achieving short-term outcomes of just winning. To ensure that athletes train at the appropriate level depending on their ability. Developmental and training age as well as chronological age should also be carefully considered. Looking at the environment and the role coaches, family and sometimes support staff can play in the lives of a developing rower. This resource is based on the fact that all rowers will start by needing to learn the same basic principles for rowing. The rate of progression will differ between new rowers and will depend on several factors including their age, fitness, athleticism, coordination and knowledge. A more experienced athlete, with a more developed training background, will develop through the levels quicker than an athlete with little training experience. The aims for these are shown in more detail by clicking on the appropriate links. Above is a flowchart demonstrating how athletes will progress through the stages. It is important they can complete all the aims in all five pillars before moving up a level and increasing their training workload, even if they show signs of being able to complete aims in levels above them. If you would like to download a full interactive version of the Rower Development Guide, please click on the button below. We are always looking at ways to improve so if you have any feedback on Rower Development or the content in this section, please fill in the box below.